This is a quick and quirky read, perfect for fans of sarcasm and fairy tales. Honestly, I can see Drusinella existing in the land of Far, Far Away with Shrek and Fiona. In fact, I can see her being Fairy Godmother to their little baby ogres. Somehow, I think she, Shrek, and Fiona would get along. Donkey, on the other hand, would probably get on her nerves. See, Drusinella is not your typical fairy. She’s been banished from Fairyland for turning Princes into frogs. She’s lost her wings. And she’s kind of grumpy. And by kind of, I mean a lot. Before I read this book, I’d heard it compared to Deadpool and I can totally see it. Drusinella can be rude and sarcastic, but at her core, she is good and she is more than capable of love. She just hates to admit it. 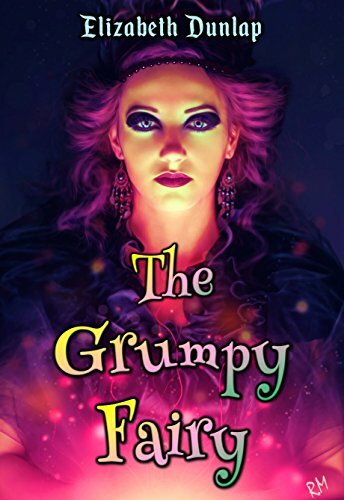 Complete with a colorful cast of hilarious characters and author Elizabeth Dunlap’s own personal touch of magic, The Grumpy Fairy is a worthy addition to any fantasy (or satire) collection. I would happily read a sequel.